The WCR (Wood-Cheneau-Rigo) brace for scoliosis has been and is a MIRACLE BRACE for me and has changed my life. I am not a young person but a senior adult. In 2014, I knew my scoliosis was getting worse. I was beginning to have some back pain, and I could actually feel the curves increasing. I was losing my balance and stumbling, and thought I had MS or some other affliction. Fortunately, I went to Avanti Therapy in Boulder, CO, and met with Julie Edelman, PT, DPT, and Julie taught me the very important Schroth exercise techniques necessary to develop atrophied muscles on the concave sides of the curves, which helps to straighten and maintain better alignment of the spine. Julie Edelman is the most knowledgeable person I have ever met about every aspect of scoliosis. She also recommended that I go to Align Clinic in San Mateo, CA. to have a brace made by Grant Wood, owner of Align Clinic, and one of the developers of the WCR brace. It was in February 2015 that I received this MIRACLE BRACE, and almost immediately, very positive changes had begun. My objective in having a brace was to stop any further progression of the curves. This brace not only halted the progression, but the improvements were beyond my dreams. The pain stopped immediately, and within 6 months, the lumbar and thoracic curves had decreased. I no longer leaned to the left, my ribs began to line up evenly, my left bottom rib was almost touching my left hip, and there was a significant distance between the left bottom rib and left hip. My body had changed so much in one year that I then needed another brace to allow for further changes to occur. After my 2nd brace, which Grant made in December 2015, my improvements continued immensely. After about 6 months wearing this 2nd brace, my hips were totally straight, and I was able to stand perfectly straight. My right shoulder no longer caved forward, it was equal to my left shoulder. My right scapula no longer stuck out, it was now flattened. I gained a minimum of one inch in height, and my waist had decreased from 31 inches to 28 inches (with no weight loss). The elongation and shifting of the ribs and hips allowed this to happen. I threw away all of my baggy clothing, because I can now wear tighter fitting clothes. Now in November of 2018, I just went to San Mateo, CA to have my third brace fitted by Grant Wood. The second brace was no longer able to exert pressure on the convex curves since my body had changed again so very much and therefore I needed this third brace. Braces for teeth also can straighten adult teeth, and this brace can help to straighten an adult’s spine, in addition to young people. This brace is non-invasive and does work. I consider myself to be very lucky to have found out about the WCR brace and the Schroth breathing techniques and exercises. There is a commitment necessary to wear the brace for the hours per day that Grant recommends. Thank you, Grant Wood and Align Clinic, for providing this brace for those that have scoliosis. Thank you so much to everyone at Align Clinic for the wonderful care our daughter received. When Julia was diagnosed with scoliosis, she had a thoracic curve of 25 degrees and a lumbar curve of 22 degrees. Our local pediatric hospital in Seattle said she didn't need a brace and that her scoliosis would probably get worse, but that's just how it was. When we pushed the issue, they said that maybe they would do a brace, but they did a standard TLSO that would only prevent progression of the curve. Not satisfied with that answer, we listened to other parents and our Schroth physical therapist and reached out to Grant Wood at Align Clinic. Julia was 3-D measured and a very custom brace was made for her. 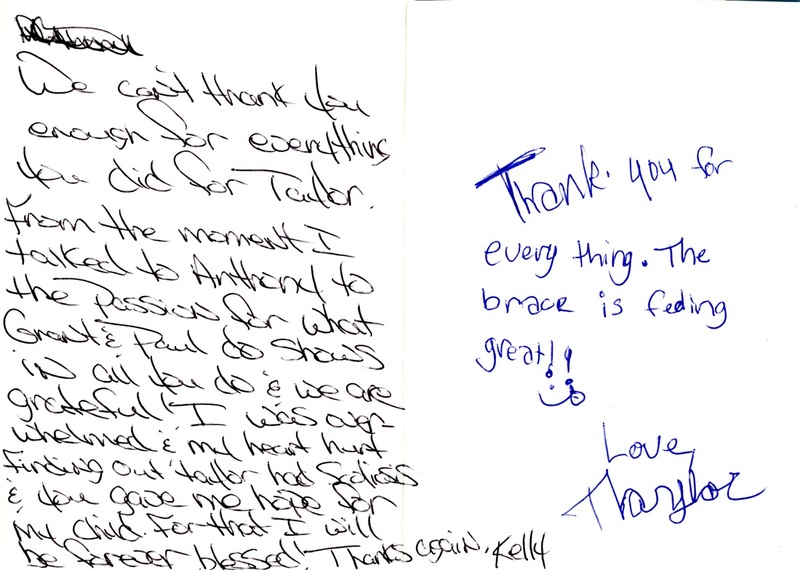 She had a total of 2 WCR braces while she grew, and both were so well designed they had very few adjustments required. She was able to wear the braces without any problem. This week our now 15-year-old daughter had her final appointment with her orthopedist. Her 6-month out of brace x-ray showed her thoracic curve now at 19 degrees and her lumbar curve at 15 degrees. Never in my wildest dreams did I think we would see that much improvement. We never would have seen stability, let alone improvement, if we had gone with the plan at our local hospital. I am SO happy that other parents and our physical therapist knew about Align Clinic! What a difference progressive thinking makes in medical care. Thank you to Grant and Align Clinic! You have made such a difference in Julia's life and well being. I want to thank you and Dr. Van Saders for prescribing the WCR Brace for my scoliosis. I have had the WCR Brace from Align Clinic for one month and the difference is amazing. I can’t wait to put the brace on each day because it puts my body in a good position and that feels so good. I wear it for about 6 hours a day and the rest of the day my muscles have to do the work to get stronger. My posture has improved, I’m not taking anything for pain, and the pain in my back is gone. My back used to be sore most of the time and doing things like standing for a long time, vacuuming, and doing our daughter, Sarah’s, lower extremity stretching/PT exercises was very painful. Now I am able to maintain that position of alignment with the brace on or off and do all of Sarah’s exercises without taking breaks and pain free! I will definitely continue to wear the brace for about 6 hours every day because it has made a big difference in my life. Thank you so much! My daughter was diagnosed with scoliosis 4 years ago. We tried the traditional Boston Brace, but it didn't help at all as the curve got worse within a couple of years, going from 27 degrees to 37 degrees. Her doctor then immediately recommended that we contact Align Clinic and try out a WCR brace as he has been seeing very positive results from other patients. We had trouble with insurance coverage initially but were finally approved. This WCR brace they made her fit so well that her curve didn't further progress but was able to retain the same measurement after a year of wearing it. The brace was so light and comfortable that she was willing to wear it without much trouble. Grant has cared for my daughter for a year and continues to follow up with her condition and progress, about which we are very happy. My daughter Brooke was diagnosed at age 7 with scoliosis. We were told initially that she had a 95% chance of surgery as she grew. I spent countless hours researching alternate options and new research to prevent this and to avoid surgery. By far the most important person in our journey has been Grant Wood at Align Clinic in San Mateo, CA. He created a brace called the WCR brace that actually straightens your back and decreases rotation. There is nothing as effective as this brace, and I highly recommend it to everyone I meet. Scoliosis runs in our family, and I actually wore the Boston Brace as a child. There is no comparison to the WCR brace. The Boston Brace has very minor results, if any in most cases. If you want results and want to prevent surgery, I cannot recommend the WCR brace enough. When my daughter has the WCR brace on, her back is 100% straight. After our (1) year out of brace x-ray, Brooke's spine had straightened by 20 degrees. Absolutely shocking and unbelievable. We cannot thank Grant and his team enough. In addition, they fly to our area every few months to check on us in person and make changes to the brace if needed. Grant Wood is a truly kind and caring orthotist, and the scoliosis braces he made for my daughter were effective and excellent in every way. He's truly a genius brace-maker and makes each patient feel comfortable and positive about the process. Everyone in the office, from the front office staff to the other orthotists, are gentle, kind, and thoughtful as well. I recommend Grant and the WCR brace wholeheartedly. We are forever grateful for Align Clinic, Grant Wood, and the opportunity to have our daughter wear a Wood Cheneau Rigo (WCR) brace. It has changed the course of our daughter’s scoliosis and improved her quality of life in many ways. When I first found out about the WCR brace, we were quite desperate for a better treatment option. Our daughter’s scoliosis was caused by a neurological condition, Chiari Malformation, for which she had a brain decompression surgery in 2013 at age 7. We were told there was a “50/50” chance her scoliosis would improve after the brain surgery within 6-12 months. She wore a Boston brace that was prescribed during that time, and we waited and hoped to see if her scoliosis would improve after the surgery. While there was likely some slight improvement, overall her curve remained about the same and 9 months after surgery she was also having back pain daily. There’s nothing harder than seeing your child in pain and not being able to do anything about it. Dissatisfied with her Doctor’s explanation that the pain was not caused by Scoliosis, but they could do another MRI and adjust the brace, I began to research alternative treatments myself. I considered a flexible brace (SpineCor) and spoke to a Chiropractor about that and physical therapy. However, I was uneasy after the conversation and lack of clinical documented results. That’s when I called Scoliosis Rehab in Wisconsin. I called inquiring about physical therapy to help with my daughter’s pain, although I knew she was too young for the typical program. In the conversation I relayed her medical history and current treatment. Beth immediately recommended the WCR brace as a great treatment option, even without physical therapy, for cases like my daughter’s. My husband and I researched and read Grant’s thesis and other’s results from the brace. This was a huge decision for us due to the travel and cost involved, however we felt that we had to give it a try to give our daughter the best chance possible. We traveled to Stevens Point, WI to meet Grant and get her casted, and then to San Mateo, CA for her first WCR brace fitting. The four days we spent there were an amazing experience. We had never experienced so much care and time spent ensuring the brace fit perfectly for her. She still had some tears and a tough time adjusting at first, but it was a quick adjustment period. They listened and accommodated every concern and trouble spot she was having in the brace to ensure that she was as comfortable as possible. After returning home, her brace compliance was great and the first out of brace x-ray a couple months later was simply amazing. Her previous 40° curve had already improved to below 30 degrees. She has never experienced the daily back pain she was previously having since wearing a WCR brace. Over 3 years later and on her 3rd WCR brace now, I’m happy to say she is still doing well with brace compliance and her curve has improved even a little more. Her doctor is so happy with her results, and he is very impressed with her brace. He always wants to show his residents when we visit and take pictures. Thus far she has not been able to incorporate the discipline of daily Schroth therapy, but she is still young, so we know that remains an option for her in the future as well. Hard to believe we have made it this far with nearly 5 years of bracing behind us, and we are confident and not concerned for her future knowing we have done everything we could to give her the best possible outcome. Every trip and dollar spent has been the best investment we could make for our daughter’s health. I gladly and highly recommend Align Clinic and the WCR brace to any fellow scoliosis warriors. First class scoliosis treatment with the best care and treatment available. We have been extremely happy with our experience at Align Clinic. Our daughter got her first WCR brace when she was six years old. Grant was so kind and good with her. It made a scary/stressful situation for us much easier. Our daughter felt comfortable and understood everything that was going on. Grant was gracious to answer all of our questions. Our daughter has now seen Grant on many occasions and is on her 3rd brace. The braces have always fit well, and when anything was uncomfortable, Grant made adjustments for us. Her curve has decreased by more than 10 degrees in a year and a half! The front office staff is also very helpful and friendly. They really worked with us on submitting claims to our insurance and appeals. We couldn't be happier with Grant and his team and will continue on this path for the foreseeable future. Thanks a lot for your well-made brace and great fitting service, which made the brace so effective and also very comfortable to wear. The great result brought great happiness to my whole family. I remember clearly how I suffered last year at this time when I knew Jane’s curve progressed to 42 degrees. I almost lost hope, could not sleep for several weeks, and I was afraid of the possible surgery and the endless pain for her whole life. Our doctor in Gillette suggested the Boston brace that Gillette made, but I didn’t like the result of wearing it. I searched online for several weeks in order to get some new treatment options to avoid the surgery and finally located the WCR brace and Align Clinic. After that, with Jolene’s kind help, I contacted several patient’s parents of Align Clinic to make sure this was the best treatment for Jane and finally made the decision to go with it. We were really fortunate that we made this decision last year. Our doctor in Gillette did not recommend the WCR to us at that time. He mentioned that this brace did not show too much difference compared to the traditional Boston brace. However, I can feel that the doctor’s attitude to the WCR brace changed a lot yesterday when he saw the out-of-brace X-ray result of Jane. He encouraged Jane to continue with the new WCR brace and practicing Schroth at the same time. From my personal experience, I do think that it’s very important for the doctors in hospitals to accept the WCR brace and list it on their treatment list to provide this treatment to the patient. If our doctor provided this treatment option to us in the very beginning, we might have avoided a 2-year CLEAR treatment and stopped Jane’s progress in an earlier stage. Our family would have avoided a lot of suffering from Jane’s progress too. We found Jane had scoliosis when she was 10, and saw the doctor in Gillette 1 year later when her curve progressed to 23 degrees, but the doctor mentioned that the only treatment was the Boston brace, which can ONLY maintain the curve. In order to reduce her curve, we decided to go with Clear treatment for almost two years before her curve progressed to 42 degrees…. Looking back at our experience of fighting with scoliosis, I feel terrified if I did NOT find the WCR brace last year online. I know that there are many patients and their families who are undergoing the same suffering as we had before. I really hope that they can find this treatment and end the nightmare as soon as possible. Let me know if there is anything I can do to help to make the WCR brace and Schroth the first choice to scoliosis patients in USA or in China. ​We have had excellent results and a very nurturing experience at Align Clinic. Our daughter was diagnosed with scoliosis at 11, specifically, a 28 degree lumbar curve (out of brace). Her orthopedic physician sent us to get a Boston brace, but after some research and referrals from other families dealing with scoliosis, we opted to get a WRC brace from Grant Woods. We are so glad we did. He got us in quickly and treated our daughter with such a kind and gentle manner (and if you are reading this, you likely know what a delicate subject this can be). He also referred us to schroth therapy with Nancy at Scoliosis Rehab, Inc. Our daughter's curve is now less than 20 degrees out of brace and she feels much better and more balanced. I realize we also perhaps had a dose of luck on our side to see improvement rather than just holding steady, but based on seeing the technique that Grant uses with the WRC, I think Grant's brace was the best thing we could have chosen. My daughter was diagnosed with thoracolumbar scoliosis (double curve) 2 years ago. We tried the traditional Boston Brace made locally but were not pleased at all with the fabrication, bulky fit or results. As a health care professional I did a literature review and came across the rigo cheneau brace which looked like a good match. The name that kept coming up was Grant Wood at Allign Clinic. So I packed up my 12yo daughter and we flew out to San Mateo to meet Grant. It was the best decision we ever made. He and his staff including Jolene and Paul were competent, professional, and truly cared about my daughter. The brace they made her fit so well she had a 33 degree correction immediately and grew an inch overnight!!! The brace was so light and comfortable that she was able to play sports including an entire season of lacrosse practice and games with her brace on...yes, even games! Plus Grant has a good working relationship with the pediatric orthopedic spine surgery group at Stanford Childrens and I can't say enough good things about Dr Policy and his team at Stanford Emeryville. Grant has cared for my daughter for 2 years now and he and his team have treated her like family i.e. With understanding and compassion. We travel over 1000 miles to receive this level of care and, in my opinion, it is well worth it. Estoy muy agradecido a Grant y a su fabuloso equipo, es el segundo corse que le fabrican a mi hija Daniela, ella tiene 14 años y le diagnosticaron escoliosis hace 2 años. Nosotros vivimos en Lima-Peru y viajamos hasta San Francisco por segunda vez para la atencion de mi hija, mi familia y yo nos sentimos afortunados de haber encontrado a Grant y ser atendidos en ALGIN CLINIC. Esperamos que este conocimiento tan valioso de difunda en toda America, de manera que este al alcance de mas niños con escoliosis. El tratamiento conservador de la escoliosis (metodo schroth y uso de corses) ofrecen una mejor alternativa que el tratamiento quirurgico, que a mi parecer esta muy cuestionado. Somos uma família brasileira e encontramos ajuda para nossa filha de 12 anos que tem escoliose do adolescente aqui em San Mateo. Fizemos nosso primeiro colete há um ano e agora retornamos para controle. A curva já está melhor e os resultados são excelentes. A equipe é muito prestativa e acolhedora. Grant tem tanto conhecimento nessa área que foi um grande alívio para nós conhecê-lo. I feel so lucky to have found Grant Wood for my daughter's scoliosis. I am positive that had we not found him at the time, her back would not be corrected like it is today! My daughter, Libby, was put in a night time Boston brace for mild scoliosis at around 19 degrees. After 6 months, her back got worse and that's when I flew with my daughter all the way from Ohio to CA. Thank goodness I did!!! After being fitted with the WCR brace, her degrees of curvature went down. Not only does Grant Wood know everything about scoliosis, he knows way more than the orthopedics!!! All the orthopedics want to do is surgery. Mine did not believe much in bracing, especially the WCR. It was so frustrating, especially when I showed him the X-rays and the proof that her back very much improved due to the WCR brace. I decided to no longer use our orthopedic doctor and just use Grant Wood. I can't stress enough if you have a child with scoliosis, get to Grant Wood or any of his associates ASAP. Everyone he works with is so professional and can't do enough for you. I spent a lot of money on 2 braces and travel but have absolutely no regrets. He is the BEST. P.S. My other daughter is 12, so we are watching her closely but I am nowhere near as scared since I have Grant Wood to go to if we need to brace her. When my daughter was diagnosed with idiopathic adolescent scoliosis at age 11 and her curvatures progressed to a point that she needed a brace, we saw an orthopedic surgeon who recommended a TLSO Boston brace. We were told that the main goal for the brace was to prevent the curvatures from progressing and that no other evidence based interventions will improve the condition, yet we were encouraged to continue general “core” exercises. As an occupational therapist specializing in neuro rehabilitation, I couldn’t accept this as the only option and knew there must be other alternatives for treatment. After doing extensive research, I learned about the WCR (Wood Cheneau Rigo) brace for scoliosis through readings and by the recommendation of the physical therapist my daughter is working with who specializes in the Schroth Method. I was fortunate to reconnect with orthotist Grant Wood who I have worked with in the past at a rehab center. Grant is a true professional and I knew I could trust his expertise. He provided a free 2-hour initial consultation and explained to us what the WCR brace can provide that the Boston brace could not. After that consultation, my husband and I had to ponder about switching braces and the expenses involved before making a decision. Grant was always patient and prompt in answering my multiple questions through emails and phone calls. He never pressured us in any way, allowing time for us to make an informed decision. He is obviously very passionate about his work and dedicated in providing the best clinical practice to the scoliosis population. Together with his outstanding team, my daughter replaced her Boston brace with the WCR brace. We needed a few follow-up visits that were easy to schedule to ensure a proper fit. Her first in-brace x-ray with the new brace immediately showed better curvature correction than the Boston brace! I couldn’t be more pleased with the path we took in addressing her scoliosis. We are hoping by her wearing the brace (she is wearing it 18-20 hours a day) coupled with ongoing Schroth Method exercises, there will be desirable outcomes. I am very fortunate and thankful for having the opportunity to be able to find alternatives and options to treat my daughter. Grant’s services, support, and knowledge really convinced us that we made the right decision to improve our daughter’s condition. I recommend working with Grant on any matters concerning scoliosis. 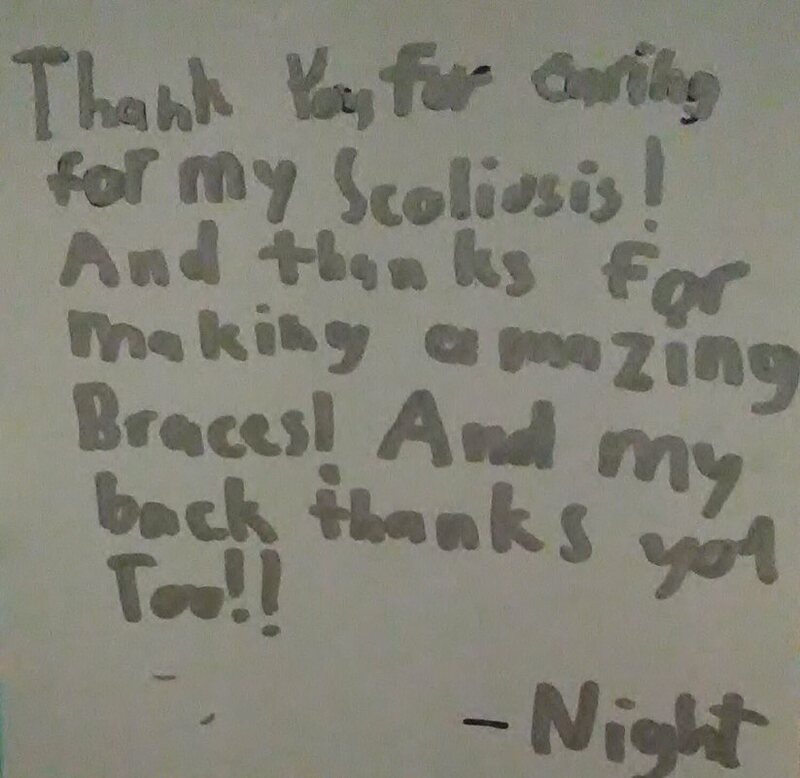 My daughter has worn a night time only brace for 5 years, and we have been so happy with Grant and Align Clinic. If making braces is a skill and an art, Grant is the master artist. He knows how to tweak a brace to make it comfortable and get the best results. My daughter started with a double curve of around 25 and 19. Now her curve is about 12 and 9. Grant is caring, kind, and painstaking. We fly across the country to get the brace made because we trust in his work. Both of our daughters got Wood Cheneau Rigo braces for their scoliosis and our experience has been great. Our younger daughter got her brace at an early age and is now wearing it for night-time use for last 4 years. She has reversed her curve by 10 degrees and her orthopedic doctor is very happy with the results. He said the curve correction with the brace is perfect and the reversal is unbelievable. Grant is very skillful and makes every effort to give the best correction possible. We are thankful to Grant and his team. We would definitely recommend the WCR brace if your child has Scoliosis. Grant Wood and his team at Align Clinic provided excellent care for my daughter for the three years she was braced. Starting with our initial conversation via phone as to whether or not the WCR Brace was the right type of bracing, we were impressed with Grant’s professionalism and knowledge. At first, we were very hesitant to travel to San Mateo from our home in Indiana. We questioned whether or not we could be serviced from so far away. Our hesitation was quickly dismissed once we met Grant and began the process of making the first brace. Grant and his team spent time assessing our daughter and getting her into a brace that was right for her (even if it took a few tries). Over the years, we made four trips to San Mateo and one to the Wisconsin clinic. We shipped braces back and forth a few times for minor adjustments as well. Each time, we felt confident that we were doing the right thing. Our end results are fantastic. We have avoided surgery and not only did we stop progression, we actually have reduced the curvature. Grant and his team made a very hard period in a pre-teen's life a little more bearable. I do not regret our decision to travel to Align Clinic. I am confident that the care and craftsmanship Grant provided cannot be matched anywhere else in the country. ​We are one of the very fortunate families to live within driving distance of Align Clinic and Grant Wood. It actually didn't occur to me to what extent we were so lucky until sometime into the first year of our daughter, Emma, wearing her brace. When our daughter was diagnosed at nine years old with significant curves, we opted to try an experimental surgery called spinal tethering. It worked and took her 51 degree curve to a negative 10 degree curve in two years. Unfortunately, she still had substantial growth left and we needed to remove the hardware at age 12. Her spine quickly went back to T 34/ L 34 within months. We spent countless hours researching different types of braces and chose the Wood Cheneau Rigo brace, based on the data and our interviews of orthotists. The WCR brace just makes sense. Instead of squeezing a spine from all angles, it targets the specific curves, actually making it so it supports the spine rather than squeezing the child. Our daughter said she actually feels better (after the initial first week or two getting used to it) when she wears it because it supports her. Needless to say, I didn't expect that. Our daughter is now 15 and is only wearing the brace at nighttime. Her curves are now both slightly under 30. Specifically, Grant Wood is a smart, caring and extremely generous human being. He spent countless hours making sure Emma was as comfortable as possible. He answered every call and every email promptly and even helped Emma with her Spanish while we waited for the braces to be modified. He fit us in even when I could tell he really didn't have a spare second in his day. He did the same for others who I recommended to him. Overall, Grant and his staff are excellent and, for our family, a welcomed safe haven during our very difficult scoliosis journey. I would not hesitate to tell anyone to meet with Grant and use his services. We just got back from a visit with Dr Rinsky, and it was great! He said Jake's spine is not even curved enough to call it scoliosis any more, and that he is one of the best successes he has seen so far. From the x-ray today, Dr. Rinsky estimated it was about a 7 degree curve now. Jake was six weeks out of brace for the x-ray. He said that he will check on Jake in 18 months and take an x-ray, but that otherwise no more treatment is needed. We are really excited. Grant, thank you very, very much for being so good at this. Dr. Rinsky speaks very highly of him every time we see him! We had our last x-ray today with Justin being totally out of the brace for a week, and you can see from the attached x-ray that it's all fixed!!! Justin has been wearing the WCR brace at nighttime only since October. Dr. Rinsky congratulated him and said that he no longer needs to wear the brace! Dr. Rinsky measured his initial lower curve at 28 degrees and his current lower curve at five degrees!!! We want to thank you so much for designing the braces for Justin to correct his back! We were so scared that his back would progress to an even worse curve. We were really just expecting to maintain the curve he had at 28 degrees! We will be forever grateful for your scoliosis brace custom designed to Justin's body. The customized design to fit his specific curve makes total sense. Our daughter was diagnosed with mild scoliosis in May 2013. That day marked the beginning of my internet research obsession. Everyone urged me to shut off the computer but I am glad that I didn’t listen because it was that research that led us to Grant Wood and his three dimensional brace. During our three month “wait and see” period I was fortunate to have an opportunity to meet with Grant in NY. He was professional, thorough and meticulous with his measurements, and he patiently spent an hour of his time with us as I bombarded him with questions. I left impressed, thinking that if my daughter’s curve progressed in the next 6-12 months, I would contact him. It made sense to me to treat an asymmetric trunk with an asymmetric brace and to address a three dimensional condition with a brace that works in all three planes. Things did not progress as expected and 3 months later we were devastated to learn that our daughter needed a brace ASAP! Thankfully we were prepared and our first call was to Align Clinic. Grant reviewed the new x-rays and calmly explained that he thought his brace could help. I tried my best to get a guarantee that he could stop her curve from progressing and a week later, in California, I demanded a 50% in-brace correction because I had read that that is what gets the best results. To Grant’s credit, he never promised me anything but that he would do his best. His best exceeded my tough expectations! Alexa’s in-brace x-ray showed a 100% correction of her main thoracic curve! It should be noted that even the best crafted brace cannot help a child with scoliosis if that child cannot, or will not, wear it. This is another area where Grant makes a huge difference. He was so patient and kind and spent so much time listening to Alexa’s complaints. He spent countless hours adjusting her brace in order to relieve any discomfort. He also never minimized our concerns about cosmetics and diligently worked to cut away whatever he could without compromising function. The result was a brace that she can live with both physically and emotionally and no one knows she is wearing it unless she tells them. Our orthopedist told us that a good correction plus compliance will lead to good results. Grant gave us a great correction and made great compliance possible and I now I almost look forward to her next x-ray! I would also like to add that I was nervous about using an orthotist so far from our home. However, Grant is very responsive to our emails and phone calls and we feel that all of our concerns have been addressed. We are also very grateful that we are able to check in with him when he comes to NY as well! Many thanks to Paul, Anthony, and Mohammed too – you all helped make our experience at Align Clinic this summer the best it could be! We had every reason to look forward to our daughter's first out of brace x-ray. After four months of full-time WCR bracing combined with 5 times per week of BSPTS our orthopedist said that he never would have guessed that her pre-brace and out-of-brace x-rays were from the same person! While the goal of bracing is just to stop curve progression, the radiologist's report now notes "mild scoliosis of the thoracic lumbar junction with considerable improvement" compared to her x-ray taken just 4 months before! She also grew 4 cm during this time. Her posture has changed dramatically and her "rib hump" is no longer visible to the untrained eye. While we do understand that this is just the beginning of her scoliosis journey and that there are no guarantees for the future, we feel very blessed to be in the care of Grant Wood. UPDATE: In the year since Alexa was diagnosed with scoliosis and braced by Grant Wood, we quickly learned that the only thing that is predictable about scoliosis is that it is unpredictable. We were told by our orthopedist that the goal of bracing was to stop curve progression. Over the last twelve months, Alexa has worn her WCR Brace compliantly, done her exercises, grew 3 inches, and her curve has been improving beyond all expectations. Her main thoracic curve, which measured 41 degrees before she was braced, is now so small (out of brace) that it no longer meets the definition of scoliosis! In the past year we have seen both expected and unexpected changes and results. It is so important to choose a scoliosis professional that has the experience and patience to monitor and deal with these changes in order to ensure that your child gets the best possible outcome. Your relationship does not end when you walk out the door with your brace. We can't thank Grant enough for his commitment to always finding the best solution for Alexa's unforeseen bracing issues. Alexa has been closely monitored by Grant and, although we know that he is a very busy man, he has always made us feel like Alexa is his only patient. A Patient's Choice Award recognizes a physician for the difference he has made in the lives of his patients. Grant is not a doctor but he has made the biggest difference and he is deserving of such an award in my book! UPDATE 2: Alexa left to start her first day of school as a HS freshman, standing tall with her backpack sitting evenly on her shoulders. Much like David and Goliath, sometimes you need to fight the giant using non-standard methods. In 2013, my daughter's curve progressed so much during a three month period that she needed a brace ASAP. Our doctor recommended a Boston brace, but I knew that she had an aggressive curve and that she needed something different for the best possible outcome. We chose the WCR brace coupled with Schroth therapy to fight the scoliosis giant...and win!!! Grant Wood's braces provided Alexa with the best weapon to treat her curving spine during rapid growth. After almost two-and-a-half years of bracing, I am thrilled to report that at her 7 month post-bracing checkup, her original 41 degree main curve appears stable at 16 degrees! Her rotation is down, her spine is very well-balanced, and her clinical appearance is amazing - even her doctor has commented that she looks even better than her x-rays!! Thank you, Grant, for always being so patient with Alexa and always making "one more adjustment" ten more times until she was satisfied with the fit of her brace. The time and attention you gave her made her compliance (and awesome results) possible. Thank you, Grant, for always being patient with me. The time you spent addressing my many concerns gave me the confidence that we were doing the right thing. This helped me to support my daughter during a very stressful time, and I believed this factored into her ability to be successful with bracing. Thank you for always taking the time to find the best solutions to unforeseen bracing issues. I believe that how you respond to unpredictable results must set you apart from other orthotists. Your ability to problem solve under stress from me is incredible - lol! You did this while never losing sight of the fact that there was a child inside the brace. I will be forever grateful for that. Thank you for teaching us that with patience, strength, and maybe a little bit of luck, there is a solution to every problem, and we can handle whatever curves life throws our way. Even though Alexa is done bracing, I will still remain... President of the Fan Club! The journey with our daughter after finding out she had scoliosis at nine years old has taken us to explore many paths. Now that she is thirteen years old and her curves are at a degree that most doctors would recommend surgery, I am very grateful to have found the Schroth Method and the Wood Cheneau Rigo brace. We found a fabulous physical therapist (Beatriz from Corpo Schema in Coral Gables) and a terrific orthotist (Grant Wood). She has been doing the exercises for almost a year and has been wearing the WCR Brace, fabricated for her at Align Clinic in California, for 7 months. Her back is visibly straighter and the scoliometer confirms her improvement. As grateful and hopeful as this makes us feel, we are even more grateful for the people who have guided us on this path. Beatriz and Grant have been extremely knowledgeable, encouraging, patient, and willing to help. Without them, we may have ended up on a completely different path. I encourage all parents to explore this option because not only is it more holistic and less invasive, but it also empowers your child to help themselves through the process as opposed to leaving it all up to the doctors. I also have to mention that visiting Dr. Michael O'Brien was a blessing. Even though her curves were at a degree that most doctors would have told us our only option was surgery, he was the one that convinced our daughter to give Schroth and the WCR Brace a try. He spoke directly to her and told her she had nothing to lose by trying it but that if she wanted surgery he could do that too. That day was the turning point that put us on this path. A heartfelt thank you to all these loving people who are dedicated to helping families in this situation. I am an adult scoliosis patient who was diagnosed at age 11. At that time there were two options: surgery (Harrington rod) or exercise. My mother was dead set against surgery. I have focused instead upon keeping my spine flexible and strong. I am still opposed to surgery, considering the poor satisfaction rate and the complication rate, so I have opted for Schroth therapy and the WCR brace, which is customized to my curve and which, therefore, helps me remain aware of the areas that need attention. Years ago I was fitted with a standard TLSO, that was pure misery to wear and far too general to be of much value. Once cinched in to my WCR brace, it became very clear that it was keeping my alignment closer to normal, and the most obvious surprise is that breathing is easy and better and more in keeping with the Schroth approach. What is also noteworthy is that when I sit with the brace on, my spine does not collapse. This feels very good. I am a spinner (of yarn), so when I sit at the spinning wheel, I often traction my back by pushing up using the arms of my chair. Now the brace does this for me! Gay-Lynne A. Miami, FL. July 2016. Before we first met Grant Wood at his Align Clinic in June 2015, we were desperate. My daughter’s curve was 62 degrees and was scheduled for a scoliosis surgery in 2016. When our Orthopedist’s wait and see approach failed, we tried everything we knew: yoga, acupuncture, Qigong, physical therapy and several chiropractors. Nothing worked. At the last chiropractor’s office, we heard a patient mention German Schroth method and immediately made an appointment with Beatriz Torres, certified Schroth method physical therapist in Palo Alto, California. During the first session with her, we were in awe. Under her hands and instructions for breathing, my daughter’s back looked so straight and balanced right in front of our eyes. We were so thrilled. We knew that God had finally answered our prayers. We found the right person. The next session, Beatriz urged us to go to Grant Wood’s Align Clinic and get a WCR brace to keep the good result from the Schroth exercises and to correct the structural abnormalities. We were very skeptical and reluctant. I told her we didn’t believe in braces any more as we had been wearing braces every day since 2010. When her curve was 18 degrees, we tried Spinecor for 2 years, then Boston brace for 2 years and one custom-made brace for almost 1 year. The curve just kept increasing from 18 to 62. But at Beatriz’s insistence, and after checking Align Clinic’s website for testimonials, we said OK we would try one last time. After we got our WCR brace and did an in brace x-ray in less than a month of wearing it, the curve was down to 42 degrees, a 20 degree reduction! After a few more adjustments, in November 2015 (less than 5 months after wearing WCR brace) my daughter’s spine improved so much that Grant had to make her a new brace, free of charge! We were shocked and deeply moved by Grant’s generosity and greatly impressed by his expertise and the result! For 5 years, the curve had never gone down no matter what we did or what kind of brace we wore until we met Grant and Beatriz! Our latest X-ray was done in March 2016 (9 months after WCR brace), the curve was at 43 degrees without brace! 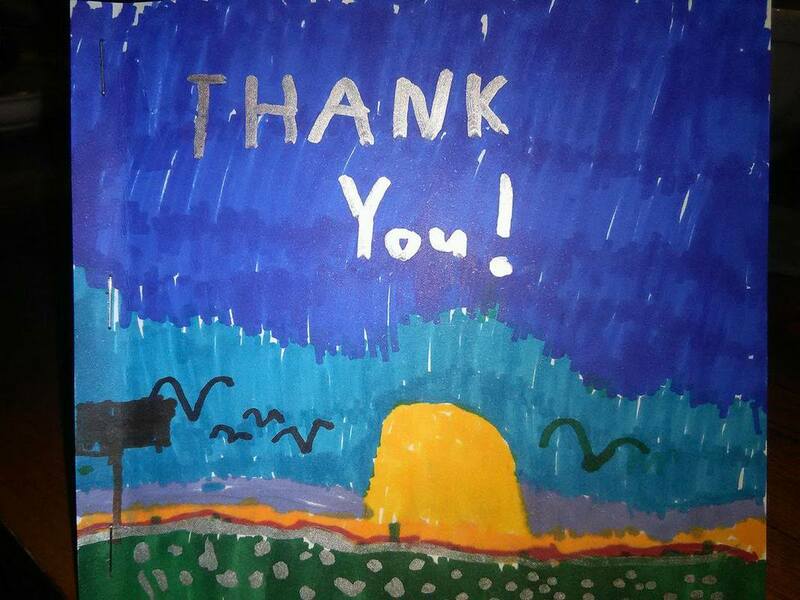 We were so very grateful to both Grant Wood and Beatriz Torres! Without Grant Wood’s WCR brace and an experienced Schroth therapist like Beatriz Torres, we could not have done it. Every time when we were at Align Clinic, Grant and his staff were always very nice and patient. Grant and Paul analyzed, measured, and fit meticulously for the best correction and comfort. Sometimes the fitting could take several trips. For our recent new brace, I could not believe they cared so much that they made several versions of the brace to find the best fit! Grant said: “We will keep on trying until we get the best correction.” They are truly the most dedicated professionals with big hearts! I cannot talk about the WCR brace without mentioning Beatriz Torres. Beatriz is very strict with us about doing exercises and wearing our brace every day, but she is also very caring if you seriously follow her instructions. No slacking is allowed! She can tell by looking at you. She taught us everything she knew without reservation and she stood firmly by and encouraged us at times when we almost gave up. We are so fortunate to know Grant Wood and Beatriz Torres. Their expertise and kindness has changed our lives for the better. I hope our experience can be of some help to other Scoliosis patients. Our family would like to thank you for your care and kindness towards Clara. We feel so blessed to have connected with your clinic and can't express our gratitude enough. I'm attaching a photo of Clara dancing earlier this spring. It's her passion and we truly believe she couldn't do this without your help. Please thank Jolene, Paul, and Jon as well. It's amazing to see all of you working together. Thanks again and take care. My daughter’s last set of X-rays were really impressive. She falls out of the range of being diagnosable for scoliosis thanks to your expertise in bracing methods. Her orthopedic surgeon was actually impressed this time, but still insists that her case is an anomaly. He thinks that she will need to continue with the bracing at least 6-12 more months. There is no way to adequately express how grateful I am that Michaela was able to have your knowledge, expertise, and dedication in her bracing process. I honestly believe that this disorder is treatable using non-surgical means, given the right orthotist and early intervention. It definitely takes a great deal of commitment on the part of the patient too. 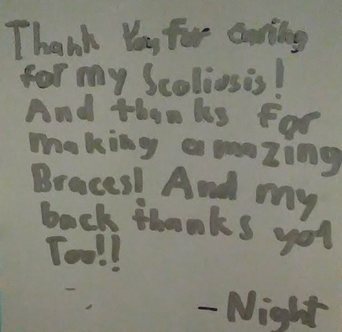 Again, I feel so blessed that my daughter is one of your patients, as I am well aware that you are not able to treat every child with scoliosis. THANK YOU! Lisa L. Encinitas, CA. December 2015. Grant Wood is a unique medical professional: a combination of great medical and scientific knowledge with extraordinary diagnostic and therapeutic ability as well as great compassion. His state of the art lectures and practice of orthotics show that he is the rare medical specialist who can translate the latest scoliosis treatment research into practical, effective bracing treatment for his patients. I am an older physician who last year was advised to have conservative treatment for painful, adult onset lumbar scoliosis (Cobb Angle: 50 degrees). Prior to seeing Grant this year, I was fitted last year with an old style rigid back brace and taught some general back-stretching exercises. However, as my old brace became less effective early this year, it was determined that this brace no longer fit me properly and would have to be replaced. I researched the treatment of adult scoliosis, and I was impressed by Grant’s brilliant exposition of the issues facing adults with scoliosis (see website: http://www.align-clinic.com/adult-scoliosis-bracing.html). Grant clearly showed that he understands the challenges to make a brace for adults that is both comfortable and effective. My wife and I flew to San Francisco in September, and we stayed at a hotel near Align Clinic. On the morning of my first visit, Grant carefully reviewed my medical history, physical exam, and x-rays. He then took many pictures and measurements. That afternoon, Grant and his team fabricated and then carefully adjusted my new brace for many hours. The next morning, I returned for another lengthy session to further fine tune the brace. Grant’s new brace was immediately shown to be effective. I first entered the Clinic with a standing height of 170 cm (5’8”). The next day, standing in my new brace, I measured about 178 cm, nearly three inches taller! The entire Align Clinic staff was very caring and competent. I am very grateful to Grant and his staff for their excellent and compassionate care. I highly recommend Grant Wood, this highly distinguished and caring master of orthotics. Lucky me!! I now have a WCR brace. I am an older adult, and the last X-ray I had (before starting Schroth breathing exercises) showed a 50 degree thoracic curve and a 47 degree lumbar curve. I started practicing the Schroth breathing exercises about a year ago and have about a 15% decrease in rotation of the thoracic curve and 25% decrease in rotation of the lumbar curve. However, even with practicing the Schroth exercises, I knew I would be limited as an adult as to how much more correction could take place. Fortunately for me, the physical therapist that is teaching me Schroth exercises, Julie Edelman at Avanti Therapy in Boulder, CO, knew about the WCR brace. She works with many young clients with scoliosis that she has referred to Grant Wood to have a WCR Brace made in conjunction with following the Schroth technique. In February of 2015, I went to Align Clinic to see Grant Wood in San Mateo, CA, to be fitted for a WCR brace. The process was easy, and his staff was wonderful, efficient, and most helpful. Within 3 weeks of wearing my new brace, I knew that my curves were decreasing, and I could physically see a slight difference. After 3 months, I met with Grant Wood for a follow up on the brace fit, and he had to cut and tighten the brace because the thoracic and lumbar curves had begun to straighten. I love this brace, and it is easy to wear (12 hours a day). I can put on a long shirt or hooded sweatshirt, and no one can see that I am wearing a brace. This brace actually works!!! Many thanks to Grant Wood for his expertise and for designing this wonderful brace. Jan A. Boulder, CO. April 2015. I would like to express my appreciation and gratitude for Grant Wood and the Align Clinic staff. My daughter was first diagnosed with scoliosis in March 2013. At the time, our doctor recommended that we have her fitted with the standard Boston brace from an orthotist here in New York. My daughter wore the Boston brace for up to 23 hours per day for about 6 months, but when we went in for our follow up appointment with her doctor, we saw minimal correction of the curve while wearing her brace. Like many parents, I was dismayed that my daughter wasn’t making much progress in her Boston brace. At a meeting of the Curvy Girls scoliosis support group, I was told about a different brace being made by Grant Wood in California. I decided to give Align Clinic a call to schedule an appointment for my daughter. I’m so glad that I did! Grant Wood is very knowledgeable about scoliosis, how to treat it, and the impact it has on his patients. We flew to his office in San Mateo, CA for the fitting of the brace. Over a period of 3 days, he patiently worked with me and my daughter for hours to get the best fit of his WCR Brace, listening to any of our questions or concerns. The Align Clinic staff were all friendly and helpful at working with our insurance company. When my daughter got her in brace x-ray wearing the WCR Brace, she and I were floored with the difference in result. Unlike in the Boston Brace, which reduced her curve size by just a few degrees, the WCR Brace corrected her from pre-brace 22 degrees thoracic and 27 degrees lumbar down to just 3 degrees thoracic and 19 degrees lumbar in brace. My daughter is also much more comfortable wearing the WCR Brace than she was in her Boston brace. We continue to see Grant when he holds his clinics on Long Island for regular follow up care and I am always able to reach him if I have any questions come up. I highly recommend Grant Wood and the WCR Brace for any parent looking to treat their child’s scoliosis in an effective and conservative manner. In April of 2013, my daughter was diagnosed with scoliosis. Her upper thoracic curve was 40 degrees and the lower was 35 degrees. She was braced immediately. Lucky for us, we were at a Long Island Curvy Girls meeting (a support group for girls with scoliosis) the weekend after she was braced. At that meeting, we were very well educated in the current conservative treatment options for scoliosis. In December of 2013, her curves increased to 55 and 35 degrees. The conversation with our doctor was devastating, and he said that nothing would help her but surgery. It was obvious to us that the brace she was in was not holding her curve. My husband and I decided we needed to do everything we could do to help stop the curve. This is when she started Schroth therapy, a scoliosis-specific physical therapy, and we began intensive research about the Rigo-Cheneau brace. Again, Curvy Girls stepped in. They told us that Grant would be in New York for a brace clinic. We met with Grant and he informed us about the difficulties of working with such a large curve. However, he was optimistic that his brace could improve it. Grant’s words spoke to my heart- finally, someone believes they can help her! My husband and I decided to move forward and make her a Wood Cheneau Rigo brace. She received her new WCR brace when Grant came in for a brace clinic in April of 2014. It was a difficult transition into the WCR, but with support from Grant, she was able to get through it. We anxiously awaited her "in-brace" x-ray and were elated to find that the brace was correcting a large curve down to a 30/21 degree curve!!!! Looking at a side by side view of the Boston brace and WCR brace X-rays, it is amazing to see the correction that the WCR brace has made. My daughter is a very active pre-teen who is on three competition dance teams. She wears her brace 18-19 hours a day, even though her doctor suggested 16 hours. She is doing Schroth but not as religiously as I would like her to. We went to her doctor in August of 2014 and we were told that she has successfully stopped the progression of her curve. She is still at a Risser 0, but Grant's enthusiasm makes her feel that she can do this!!!! Grant is her biggest cheerleader, and in this crazy journey, our children need someone like Grant on their side. I feel fate has driven her scoliosis journey. We have been blessed with finding the Curvy Girls, who have helped to lead us to this type of treatment. Also, the fact that Grant comes to New York several times a year is an amazing gift. He is providing successful, cutting edge treatment for my daughter's scoliosis and we are grateful. We went to the Curvy Girls Convention this past June, and I noticed a change in attitude of the girls who are braced in a WCR because of their success. I believe that the WCR will help many girls have success with bracing and hopefully avoid surgery. My daughter is a tough cookie and is determined to make it work. My husband and I know her scoliosis journey is not over but I am sure no matter where she goes, she will always take a part of Grant with her. Gina O. Long Island, NY. September 2014. We have had a very positive experience working with Grant Wood and the Wood Cheneau Rigo brace. After considering other options, we decided to go with the Wood Cheneau Rigo brace due to not only the promising clinical results but also the comfort relative to other braces. My daughter has always been hypersensitive to tight and scratchy clothing, and we were worried about whether she would be able to adapt to wearing a brace for 23 hours a day. We are happy that it took a relatively short while for her to get used to the Wood Cheneau Rigo. Within a few days she was sleeping at night without complaint. She is very compliant and wears her brace as recommended with consistency. We feel very fortunate to have found the Wood Cheneau Rigo brace. The service and care which we have received has been of excellent quality. My thanks to Grant Wood for all of his work and consideration. I recommend him highly. My daughter Francesca, who will be 15 in October, was diagnosed in 2011 with scoliosis. The orthopedic surgeon we were seeing at the time stated that her curves were too small to warrant a brace. In September of 2013, the curves increased to 31 degrees thoracic curve and 30 degrees lumbar curve. She has an S-curve. Francesca was fitted with a Boston Brace immediately. Although she found it to be uncomfortable, she wore it for 14 hrs/day. In April of 2014, she had her out-of-brace X-ray and her curves had continued to progress to 40 degrees thoracic curve and 30 degrees lumbar curve. We were not happy with the results so we changed orthopedic surgeons and had her fitted again with another unmodified Boston Brace which was thicker, larger, and had arm straps like a back pack. (She was called a Turtle by some kids at school.) Although it was very uncomfortable, Francesca continued to wear it. Around this time, we attended our first Curvy Girl meeting, and we listened as some parents started to discuss the Rigo Cheneau Brace and Schroth Therapy. There were a few girls who had been wearing that brace. We were curious and intrigued since the guests exhibited such enthusiasm and confidence speaking about the Rigo Cheneau Brace and Scroth Therapy. We did some research. Since my daughter was having such a difficult time wearing the second Boston Brace, I called Mike Mangino at Bay Orthopedics in New York, and he was so informative and helpful that we decided to bring her to Bay and start the casting and fitting process for the new Rigo brace. We met Grant Wood at one of the clinics at Bay and his patience and support was uncompromising. He took so much time to ensure that the brace fit her comfortably and that it was effective for her size, body shape, and curve pattern. They worked with Francesca directly and answered all of her questions. Remember, we had gone through 2 Boston Braces. We also started her with Schroth Therapy sessions in May 2014 with Jeanann Maguffin. She started wearing her new Wood Cheneau Rigo brace in mid-June. She found this brace to be quite sleek, comfortable, and also better in appearance for a teenager. In fact, she started to sleep with it and now started wearing it for 22 hrs/day while doing her Schroth Therapy every day. On July 30, 2014, Francesca had her first EOS in-brace X-ray. We also followed up with her new orthopedic surgeon, and he was so impressed with her quick results. In almost 2 months her upper curve of 40 degrees had dropped to 19 degrees and her lower curve of 30 degrees had dropped to 6 degrees. Francesca continues to comply with her regiment of wearing her brace 22 hrs/day and daily Schroth therapy for 90 minutes. The positive results have given her the drive to know that all her efforts are not in vain. We are so thrilled and grateful that we found Curvy Girls, Robin and Terry, their daughters Leah and Rachel, Grant Wood from Align Clinic, Mike from Bay Orthopedics and Jeanann Maguffin for her Scroth Therapy. This is a winning team. Fabiola C. Long Island, NY. August 2014. I would like to express my appreciation and respect for Mr. Grant Wood and the dedication he has shown in helping individuals with scoliosis. Although I am a cardiologist and in the medical field, I had had little experience dealing with scoliosis, until one of my own children was diagnosed with it. My daughter was 11 when she was diagnosed with scoliosis. Her mother noticed a slight asymmetry to her spine and subsequent x-rays revealed the scoliosis. Her lumbar curve was initially 21 degrees and her thoracic curve was 16 degrees. She did not have any symptoms, and her orthopedic doctor wanted to initially take a conservative approach and wait on any form of treatment. After 6 months the lumbar curvature was stable, but the thoracic curve had increased to 24 degrees. The follow-up x-rays also revealed that her growth plates were almost closed. Alarmed by the progression and realizing there was very little time left before her growth was complete, my wife and I began to research all the different treatment options for scoliosis. I was particularly interested in the scientific literature and trials being performed overseas. Using modern scientific methods, these trials showed significant improvements with the Schroth technique, a technique that has been used in Europe for many years. We spent our summer vacation in Steven’s Point, Wisconsin at Scoliosis Rehab learning the Schroth methods. The Rigo Cheneau brace was the natural choice to complement this therapy. The doctor was supportive of this approach and wrote the prescription for the brace. We discovered that Grant Wood is the only orthotist in the United States who can provide a genuine Rigo Cheneau brace. Only Grant’s brace is supervised and approved by Dr. Rigo himself. Even though we live in Colorado, it was a very easy process to obtain the brace from him. Grant’s office was very helpful and he was quite accessible both on the phone and by email. First he reviewed the x-rays from the orthopedic surgeon here. I arranged for my wife and daughter to fly out to San Francisco on a Wednesday evening. They stayed at an airport hotel, which was very close to the office in San Mateo. He met them early on Thursday morning and spent most of the day getting just the right fit on the brace. After a visit with him the next morning they left on a flight back home. Six weeks after the fitting Grant requires an in-brace x-ray so he can make adjustments if necessary. Anna’s Cobb angle for her thoracic curve decreased to 13 degrees and her lumbar curve dropped to zero! Her orthopedic doctor said that in 20 years of practice she had never seen that dramatic of an improvement. Anna has now finished her bracing therapy, but continues with Schroth exercises. Her scoliosis is stable and she has only a minimal residual curve at this point. In fact, at her last visit to her orthopedic surgeon, the doctor said that she didn’t need to come for any return visits! I am writing to let you know how much CM and I appreciate all that you have done to help CM with his scoliosis. During our visit to San Mateo we were treated with such great care. The staff was helpful assisting us and handling the details of scheduling for us with the restrictions we face for being out of town. I am thankful for the meticulous attention that you paid to the construction and adjustments of CM’s brace. You were not willing to let him leave with anything less than what you felt was best for him. I appreciate the extra time that you and your staff were willing to put into the brace to insure its best fit. This is a strong indication that your business goal is not about making a specialty back brace but rather helping a young man minimize/correct scoliosis. I felt that CM was a much higher priority than constructing a functional brace. Even prior to our meeting, you recognized a need for patients with scoliosis to have an option that is not readily available in the United States that has been shown to be beneficial as well. You took the initiative and risk to study this brace design and construction and introduce it to patients in our country. This forward thinking on behalf of patients is to be commended. opportunity to arose. As a parent, I recognize the enormous value of another adult to be especially interested in my child and especially in regard to a new and difficult phase in life. For this I am grateful. Dr. Clint Myers, MD. Anesthesiologist. Indianapolis, Indiana. I am a physiotherapist in Germany and have written a book about our special conservative Three-Dimensional Scoliosis Treatment which was created by my mother, Katharina Schroth. I received an e-mail from a mother in the USA with her nearly three-year-old son who has scoliosis with already 80° curvature. His posture was very bad. I saw this in the pictures she sent me. She wrote me, she wants to have the same success with her child as the five-year-old boy in the pictures in my book. I gave her instructions on what and how to do the special exercises that she can see in my book and help him perform. Every few months she sent me new pictures, which always show good results. I gave her from time to time via e-mail new exercises for her son. – So he is now very much more upright, but his hip of the thoracic concave side still stands out sideways. I explained to her again, that this is the most important thing -- to bring this hip inward. now at 42 degrees curvature. The brace has big openings and one can see that the boy has enough space to breath into his concavities. It seems that these formerly concave ribs are now convex. So we have the expectation that he can hold his good posture over the time of puberty with the good Schroth exercises and the good brace without surgery. Christa Lehnert-Schroth. Physical Therapist. Germany. My daughter was diagnosed with scoliosis a little over a year ago, at 11 years old. Aside from being completely devastated, I was also very motivated to research the best possible treatment for my daughter. I am a registered nurse and believe strongly that patients and families should be educated in the choices of treatments and course of care for all healthcare. After a lot of research I found Grant Wood's site and was impressed with the Rigo Cheneau brace, and the clinical results and the philosophy and physiology behind it. I truly believe that by getting a Rigo Cheneau brace through Grant I have gotten my daughter the best treatment for her scoliosis available in this country. Grant is also a very dedicated, friendly, compassionate and dependable person who I have enjoyed meeting and communicating with over the past year and a half. He has always made us feel valued and cared for in all emails and in personal visits. We are very happy with our decision to seek treatment from Grant. He has always done excellent work on my daughter's brace and made appropriate adjustments as necessary. Her spine is currently corrected more than 50 percent in brace which had my orthopedist very pleased. My daughter is very happy with the brace as well because it is not as big and bulky and padded as many of the other scoliosis braces tend to be. I would highly recommend the Rigo Cheneau brace and well as Grant Wood to anyone. Amy H. Registered Nurse. Boise, Idaho. I am a physical therapist and a mom whose son has scoliosis. My son is being successfully treated with the Rigo Cheneau brace and the Schroth method of scoliosis exercise. We are very pleased with the results so far. From a professional perspective, I think that this is the ideal approach to effectively address both the cosmetic and functional aspects of scoliosis. Furthermore, Grant Wood has been most understanding and accommodative to the individual treatment concerns and needs of my son for which my family and I are greatly appreciative. Renee S. Physical Therapist , DPT, OCS, MTC. Grand Rapids, Michigan. My daughter was diagnosed with scoliosis two years ago and had not had success with bracing. We contacted Grant Wood from the advice of a friend to see if the Wood Cheneau Rigo brace would be an option for my daughter. Grant returned my call promptly, and we chatted about my daughter’s situation. Grant was holding a three-day scoliosis brace clinic a few hours away from our home, so we decided to have Grant make a brace and meet him in Long Island, NY (he lives in CA). We drove to Long Island from Connecticut a few weeks before this clinic to have Mike Mangino (fellow orthotist) measure and cast my daughter. He shipped the cast and measurements to Grant at Align Clinic in San Mateo, California who made the brace and brought it with him to Long Island. We stayed in Long Island for the three days so Grant could fit my daughter to the brace and make any needed adjustments. The Wood Cheneau Rigo brace is a lightweight brace that fits very comfortably. My daughter has had two other braces, and she stated that this one is by far the most comfortable. She has worn the brace for one month so far without any complaints. Her posture is much better while she is wearing her brace and it is hardly noticeable under her clothing. My daughter is in middle school and wears her brace all day in school with no problems. We are very satisfied with the quality and comfort of the Wood Cheneau Rigo brace. Grant is a dedicated and caring orthotist who is a credit to his profession. He spent hours with us, asking and answering questions and making sure my daughter’s brace was perfect for her. He was patient, kind, understanding, and helpful while he was caring for my daughter. I would highly recommend that anyone who is looking for a caring, dedicated, and professional individual to seek the services of Grant Wood. Annette N. Uncasville, Connecticut. November 2013. I cannot express the gratitude my husband and I have for Grant Wood. He is a large part of the great team of people treating our daughter who have changed the way she views herself, the way she views her diagnosis of Scoliosis, and the way she views her future of living with it. We are extremely impressed with his level of expertise and passion for his work. He is dedicated to providing the best service on all levels to his patients, and we thank you Grant, for doing what you do so well. You have changed our lives in a most positive fashion. The following has been our experience so far…. Our daughter was diagnosed with mild idiopathic scoliosis at the age of 11. She had a thoracic curve angle of 18.5 degrees and a lumbar curve of 23.5 degrees. We decided to be aggressive and not wait for her to progress before treating her disease. We initiated a Schroth based Physical Therapy program for her in Stevens Point, WI where we learned of Grant Wood and the Rigo Cheneau brace. Upon our first conversation with Grant we found him to be very approachable and knowledgeable. He increased our level of understanding on the standard of treatment for Scoliosis and offered us hope while keeping our expectations realistic. Grant also worked with us on a financial level. As our daughters curve had not yet progressed to 25 degrees, our insurance company denied us any coverage for a back brace. This was a disappointing setback, but Grant worked with us to keep the Rigo Cheneau brace affordable which made it possible for us to make the trip to California for the fitting. He consolidated the fitting to one day which kept our overall cost of the trip down and allowed us to miss less school and work. Our daughter does very well with her Rigo Cheneau brace and tells us she has overall less back pain, especially when she is active in her sports. After wearing it at night, for only 4 weeks, both of her curves have shown correction on the in brace X-ray. Her thoracic curve decreased from 18.5 to 13.9 degrees, and her lumbar curve decreased from 23.5 to 12.4 degrees. We have also seen her rotational deformity reduced and she is happier with how she looks. We have gradually increased her wear time and she is doing very well during the day with minimal complaints. As our battle with Scoliosis has only just begun we are confident that we are on a very positive path and have made the right decision to seek treatment from Grant Wood with the Rigo Cheneau brace and from Scoliosis Rehab Inc. for Schroth based Physical Therapy. Radiologic Technologist (R) (M) (BS). Granton, WI. February 2013. As a former brace wearer 35+ years ago, I was shocked and disappointed when my daughter’s orthopedic surgeon prescribed her the same Boston brace I wore as a teen. I immediately hit the internet to find other options. I found a lot of bad information, but then I finally found Grant Wood via our local Schroth instructor, Julie Edelman. The Rigo Cheneau brace looked intriguing! I called Grant and spoke with him several times to learn about the Rigo Cheneau brace. He was very generous with his time to answer all my questions and educate me on the Rigo Cheneau brace and how it works with the Schroth method. He also gave me contact information so I could talk to some of his other patients’ parents. I decided to pursue the Rigo Cheneau brace for my 13-year-old daughter. She was casted in CO and Grant worked with the orthotist here to get the proper cast and measurements. They worked together to ship the cast to Grant and we flew to CA to get the brace fit. Grant was very professional, yet kind. I was very concerned (ok, a bit freaked out) about my daughter getting a brace. My own experiences with a Milwaukee and then a Boston brace were horrible. The Boston was hot and tight and took me weeks to adjust to it. I repeatedly had rashes and heat blisters on my hips. I also wasn’t able to eat normally due to the tightness. At the Rigo Cheneau brace fitting, Grant was very clear about how the brace should feel and did as many iterations as necessary to get it just right. My daughter took about 3 days to get used to the brace and was able to sleep in it right from the start. She is mostly comfortable and never complains about it being hot or tight. She has had a couple minor skin irritations and Grant has been quick to remedy any problems with the brace when we request it. We are able to ship the brace back and forth for minor adjustments. 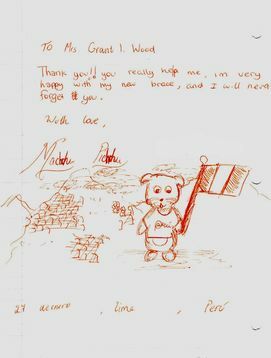 Grant always gives me clear instructions on marking the brace and we email photographs to aid with mail-in adjustments. My daughter is in her 2nd Rigo Cheneau brace now. She does Schroth most days and her curves have held steady. The original Boston brace-prescribing orthopedic surgeon told her to wear her brace, cross her fingers and hope her curves didn’t get bigger, but that they most likely would increase a lot. That wasn’t the treatment plan I wanted for her, so we switched to a more open minded surgeon, got an Rigo Cheneau brace and got her into Schroth. I truly believe that this is the best way to treat her scoliosis. The brace is comfortable, so she is compliant wearing it. The Schroth empowers her to take charge of her scoliosis and do something more than cross her fingers! I strongly recommend the Rigo Cheneau brace that Grant Wood makes. Kim C. Boulder, CO. February 2013. Several months ago, Grant Wood made a brace for scoliosis for us and we needed it within days. It arrived promptly and he then further customized it so that it fit perfectly. My daughter’s scoliosis outside of the brace for her thoracic curve is 47 degrees, in brace it is 36.5 degrees. Her lumbar curve is 34.7 degrees, in the brace it goes down to 25.8 degrees! We are very pleased with the attention to detail and the expertise that Grant brings to his work. Karen A. Canada. January 2013. Grant Wood is an exceptional professional in the field of scoliosis management. After my daughter was diagnosed with moderate/severe scoliosis at age 9, we learned about the Rigo- Cheneau brace and Grant’s expertise with this method. We feel so fortunate to be working with Grant. In addition to his incredible training and knowledge about scoliosis management, Grant is a kind, patient, and thoughtful care provider who takes time to connect with my daughter and me at each visit. He is meticulous in his attention to measurement details and brace adjustments to ensure progress as well as comfort. Grant has given me confidence and optimism regarding my daughter’s condition that no orthopedist was able to offer. My daughter’s MD stated that Grant's brace did in 12 hours a day of part-time wearing what the Boston brace would take full time use to do, i.e. 23 hours a day. The curve went from prebrace Cobb angle of 24 degrees to out of brace Cobb angle of 12 degrees. It is Grant that is making the biggest impact on the outcome of my daughter’s scoliosis and we are grateful to be in his care. Shell P. Registered Nurse, BSN. John Muir Hospital, Walnut Creek, CA. Yesterday my daughter had her first follow up scan since wearing the Rigo Cheneau brace you made for her last August. I am thrilled to report that her scoliosis has substantially improved after just 5 months of wearing her brace. She also grew 2.5 inches during this time and we feel that thanks to the brace you made, she will no longer need to worry about having surgery! 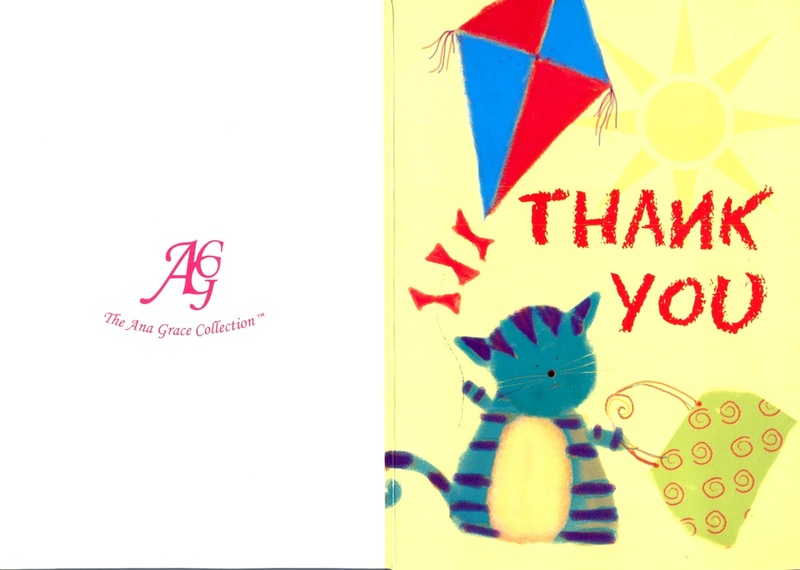 We had such a positive experience working with you. You made my 11-year-old daughter Olivia feel very comfortable at all times. I appreciated your attention to detail and the amount of time you spent customizing my daughter’s brace. As you recommended, she wears her brace at least 20 hours per day and even sleeps in it and has found it overall to be comfortable. We cannot thank you enough for everything you have done for us! You have changed our lives. Olivia could have been having surgery this summer and instead we will be going on a family vacation to Hawaii! Thank you for responding so quickly to any questions that we have had over the past months. We look forward to working with you again when Olivia outgrows her current brace and needs her second Rigo Cheneau brace. Robin D. San Diego, CA January 2013. When my daughter was diagnosed with scoliosis at age of 12, our goal was to find the best and least invasive method of treatment. We researched pubmed.gov looking for all scientific articles on scoliosis and conferred with various doctors, family members and friends. Our conclusion based on this research was that bracing, specifically with the Rigo Cheneau Brace from Europe, would help control the progression of the scoliosis for my daughter. We traveled from Utah to Northern California to have the Rigo Cheneau brace fitted. Our Orthopedic Surgeon from Lucile Packard Children's Hospital at Stanford only trusted Grant Wood with fitting the Rigo Cheneau brace. We opted for the night time Rigo Cheneau Brace so my daughter puts it on only when she goes to bed; this avoids some of the stress associated with wearing a brace during the day at school. My impression of Grant from the get go was that he is extremely warm and caring – a genuinely compassionate person. But, Grant was also generous with his time and explained the bracing process as well as responded to our questions. From a technical standpoint, I would describe him as highly skilled, accurate, precise and diligent in fitting the Rigo Cheneau Brace for my daughter…..also, there is a certain art to fitting the Rigo Cheneau Brace that Grant has truly mastered through his training and experience. My daughter was diagnosed with an S-Shaped scoliosis (prebrace 49 degree thoracic and 54 degree lumbar). She has now worn the brace for approximately three months. An x-ray taken two weeks ago revealed the S-Shaped scoliosis has improved to 41 degree thoracic and 52 degree lumbar (out of brace). To date, based on our experience, both in terms of clinical interaction and clinical results, I would highly recommend Grant Wood and the Rigo Cheneau Brace without any reservation. I am writing to express our gratitude and respect for Mr. Grant Wood for his help and showing a ray of hope in our life. Our daughter (8+ years old) was diagnosed with Severe Scoliosis (double curves Thoracic & Lumbar) at advanced stage. 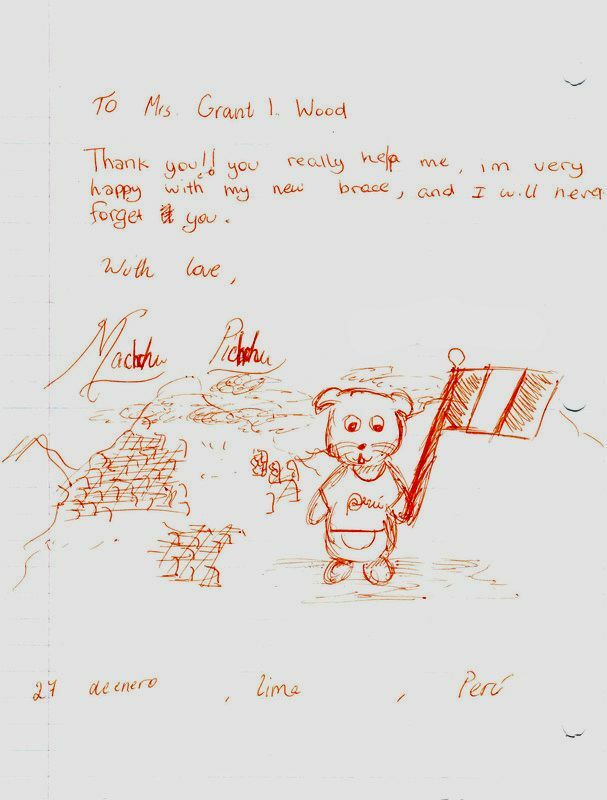 We are glad we went to Grant, who was of tremendous help from the day we approached him. Grant really understands the issue and pin-points the areas that need attention, and he explained / educated us on what’s happening and how to deal with it going forward. He deeply studies the X-Rays provided by the doctor. He is also really flexible to adjust the brace of my daughter with one or two follow up appointments. On the personal side when we meet him every time, he always greets us with a great smile and the way he discusses things with us gives us a lot of comfort. Sanjeeb M. San Jose, CA. January 2013. Our daughter was 9 years old when her dad noticed her back looked uneven. He had scoliosis, his mother had it, and his brothers had it, so he was painfully aware of what to look for. We took her to the orthopedic doctor who advised us there was nothing to do except “wait and see”. Her curve at that time was 22 thoracic and 18 lumbar. We waited for two years as her curve progressed until it was deemed ready to be braced at 31 thoracic and 22 lumbar. We were sent to the local orthotics and prosthetics company where she was fitted for her first TLSO style brace that she wore 22-23 hours a day. Her in-brace correction was 14/20. Her next brace a year later, also a TLSO, only corrected her to 21/10. When she was diagnosed I kept asking if there was any kind of exercise that would help and was always told there was nothing. It didn’t make sense to me that being in a hard plastic corset for 23 hours a day that squeezed your body like a tube of toothpaste and didn’t allow your spine to move could be good. Unsatisfied with this passive treatment, I did hours of searching on the internet and learned about Scoliosis Rehab and the Rigo Cheneau brace. We spent 2 weeks in Wisconsin at Scoliosis Rehab learning the exercises and everything about Scoliosis. It was there that we learned more about the Rigo Cheneau brace. Since my daughter had a relatively new brace we decided to wait before making a change. At her next x-ray, her curve continued to worsen so we decided to change to a Rigo Cheneau brace. From the moment we met with Grant I knew that we were in good hands. His knowledge and patience are truly amazing. I was so thankful that he took time out of his schedule to consult with us, since my daughter was not even his patient yet. He spent a very long time answering questions and giving us recommendations. We decided to have a new brace made by Grant and were amazed with the results. Her first in-brace x-ray corrected her curve to 13/11. This is better than the correction she had in her first brace, 3 years prior, and 5 1/4” of growth later. From a cosmetic stand point, the brace and Schroth exercises have really helped as well. I cannot say enough about Grant’s kindness, dedication, empathy and knowledge. He spends as much time as needed to address any concerns that my daughter may have about the fit or appearance of the brace and patiently makes change after change sometimes to accommodate her. He is truly gifted and we feel so fortunate that he is taking care of my daughter. Margaret M. San Antonio, Texas. January 2013. We visited you last summer in June to fit her for the night brace. She has worn it faithfully except for 2 times out of the year when she was traveling (scuba trip to Honduras, and ministry trip to inner city Philadelphia) and the time we sent it to you in February. She has no problem wearing it, except that sometimes she rips it off in her sleep. It seems to always be around 3:00 a.m. and she doesn't know she's doing it! So, she's getting in about 4-8 hrs of wearing the brace at night. I mentioned to you that I felt the brace was necessary for her at this age (17) because she is not faithful with her therapy like she needs to be. There have been times when she has gone months without doing it! This makes me sad, but I have nagged for years and it gets me no where either. I was expecting bad news when we went for a refresher course at Scoliosis Rehab in Wisconsin this past week. Instead, we got good news! They found that her pelvic area was completely balanced. I credit that to the brace! Since last year's x-ray measurements she has IMPROVED by 3 degrees in her thoracic area (they were hoping to just stabilize her IF SHE DID HER THERAPY). She has improved in the area of T1-T5 by 3 degrees, and in her lower back (T13) by 7 degrees. They also tested the "transition point" between the upper and lower curves and that went from 36 degrees to 17 degrees (19 degree improvement). Last year she was at Risser 4 and is probably now at Risser 5. Her standing position was shifted to the Left and she was categorized as a typical R Thoracic 3 curve typical. Now she is classified as Non 3, Non 4 (non typical?). Some other interesting findings is that she has grown (or her spine has elongated) to where she's gained 3/4" in stature. . .very exciting for her to be above 5' now! Her breathing tests are those of a normal person with results being 2800 cc average. She was measured with a scoliometer and her twist in her spine or hump are NOT worse. They are the same as last year. I want to thank you for your work in making such an effective brace. I know that no one expected any changes in a kid like Amy who has such a significant curve (Upper Thoracic 48, thoracic 65, and lumbar 28). It was encouraging to see that happen even with little compliance from Amy. We hope by getting a refresher and some encouragement from the ladies at the Rehab place she will go into her senior year fired up to being faithful to doing her therapy. If you are in Columbus please let us know, we'd love to see you again. We found Grant Wood in California who made another brace. This was a custom made Rigo Cheneau brace which involved a team of scoliosis specialists in Germany, Spain and the USA. The results with the new Rigo Cheneau brace have been much better than a previous brace that our daughter had worn for 13 months when she was 13. When her back and scoliosis was getting worse, we took her out of that brace and researched Schroth physical therapy and the Rigo Cheneau brace. With Schroth and Rigo Cheneau, at 15, she had an initial reduction in her lumbar and thoracic curves last year. Now she is 16 and continues to wear her Rigo Cheneau brace at night (she feels better sleeping in it than without it). Her scoliosis is stable and she feels and looks better than she has ever felt since her diagnosis in 2007. We feel confident that her custom-made brace from Dr Rigo´s original shapes-designs have contributed to her current stability and health. Our Rigo Cheneau brace from Mr. Wood looks completely different from other braces that say they are Rigo Cheneau braces, which makes me wonder..… My husband and I believe that we are getting what we paid for…and my daughter is happy and pain-free too. Grant Wood is a servant to his field, committing to providing observable, repeatable scientific record of the detailed correction and improvement of idiopathic scoliosis due to individualized bracing techniques using the Rigo Cheneau braces. The aspect of his practice that, as a parent, will confirm his dedication is his attention to each patient. 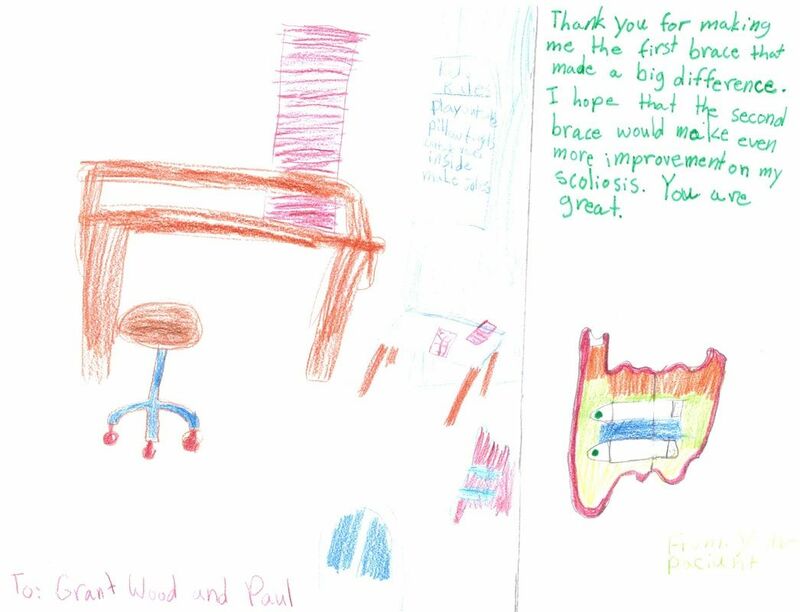 Grant Wood cares for every body he braces; listens to their needs, analyzes the brace’s effectiveness, adjusts the manufacture of the brace as often and wherever needed, at no charge, and genuinely desires that your child is free of pain and their curve is significantly reduced. He practices in San Mateo, but frequently travels to Scoliosis Rehab in Wisconsin to offer patients out east a chance to receive one-on-one fittings, adjustments and counsel. We began bracing our 14 year old daughter with the TLSO Boston Brace, as it was the only one recommended by the spinal and surgical professionals. The TLSO only had the capacity to reduce her curvature a small degree while she was wearing the brace. We were informed by the manufacturer that this would never improve. Also, the TLSO did not have the potential to cause structural reduction in curvature, so the improvement was temporary, limited and meager. During that time we researched alternate methods for addressing adolescent idiopathic scoliosis. Based on that research and the discomfort and ineffectiveness of the TLSO brace, we decided to switch to the Rigo Cheneau brace as provided by Grant Wood Orthotics, pairing it with Schroth physical therapy. We concluded this was the most aggressive, conservative approach that had the best potential for significant results. did not yet have her menses and was only at 1 Risser grade. She is now fully matured at 4-5 Risser and is one year post menses. This means the greatest threat to increased curvature has passed without an increase in her curvature whether the brace is on or off. This is significant. We believe the Rigo Cheneau brace coupled with Schroth physical therapy kept what spine and surgical professionals believed could have been a radical increase to 100° curvature within those three years, at bay. We are so pleased that we did not need to fuse our daughter’s spine and she can now maintain her condition with great mobility through minimal bracing and exercise maintenance. You would do well to consider Grant Wood Orthotics as an effective approach to addressing your child’s scoliosis. Linda S., M.A. Sports Psychology. Minnesota. January 2013.
impressive. When I sent him the x-rays, I was encouraged that Grant recommended the night time only brace because my daughter’s curves were still considered mild. In San Mateo, Grant answered all our questions and spent a whole day and a half with us making sure the brace was comfortable and fitted correctly. We live in Florida and I was skeptical of having an orthotist across the country, but he has been great. Recently, we sent him the brace and he adjusted it and returned it quickly. My daughter has had the brace for a year and two months. I haven’t had follow-up x-rays taken, but I took her to her yearly physical with her pediatrician and he couldn’t believe that the hump she had on the right and the protruding ribs were all gone. Her hips, which were completely out of line, one much higher than the other, are now even. Grant Wood will be in our area in February so we will see him then. I think we were lucky to catch the scoliosis early and take action instead of waiting. We were also lucky to find someone with Grant Wood’s experience and knowledge who made a brace that worked. In my opinion, the right orthotist and the right brace are the key to treating scoliosis and Grant has proved to have the expertise. We are very thankful to him and we highly recommend him! If we had to do it all over, we would again go straight to Grant Wood. Andrea K. Miami, Florida. January 2013.
methods) as it is generally viewed to be ineffective in curves over 40 degrees. I was at first reluctant to have my daughter braced knowing this, but after doing some research we decided to meet with Grant Wood and see about our options with the Rigo System Cheneau brace because we wished to avoid surgery or at the very least postpone it until she was older. Grant determined that due to the flexibility of her spine we could give it a try, giving us a realistic goal of the brace preventing progression of her curve. Grant's treatment and attention to her condition have been excellent. He worked with us to make sure the brace was working as efficiently as possible for her specific curve type. After a few months into the treatment, it was determined that the brace needed some adjustments. Grant paid great detail to her individual situation and worked to revise her brace in way that improved the brace function even further. Grant always answers all of my questions and concerns in a timely manner, which has been such a blessing for us as worried parents. I really cannot say enough about the excellent care and follow up Grant has given my daughter. As for the brace, her prebraced curves were both in the 53-54 degree range. After her most recent x-ray 5 months later, her out-of-brace measurements are 34 and 42 degrees. I am forever grateful to Grant Wood and the Rigo System Cheneau brace for these amazing results we have received thus far in our treatment. We feel so truly blessed for the service and support Grant has provided to our family. Jamie C. Costa Rica. January 2013. My son was diagnosed with scoliosis in 2012 (see photo 1). He was subsequently evaluated by a pediatric orthopedist here in North Carolina. She said with his significant curve that he was past the point where a brace could help. She went on to say that he would require surgery to fuse the spine and stabilize the curve and for us to come back every six months for an evaluation until it was time for the surgery. healthcare professionals around the country and Grant is by far the most approachable of any we have ever dealt with so far. When I found out he left is previous employer, I was in a state of panic until I learned he was opening his own clinic. Honestly, I was prepared to follow him where ever he went even if he left the U.S.
As you can see from the photo, my son’s curve has improved with Rigo Cheneau brace. The first photo is his initial x-ray (photo 1) and the other is his six month in-brace x-ray (photo 2). His torso height has also increased by an inch. I am so thankful we found Grant and the Rigo Cheneau brace. I fear my son would have required the spinal surgery otherwise. I highly recommend all parents with children that have scoliosis to contact Grant Wood about obtaining the Rigo Cheneau brace and also to learn the Schroth method of exercises. I think we have found the best group of people we could ask for to work with in this difficult time. Between you, Dr. Mendelow and Beth I know we have done our best no matter how this ends up. Penny R. Burnsville, North Carolina. January 2013. Thank you for your time. We received good news today that Evelyn’s curve has significantly improved since the x-rays of 4 months ago. The Cobb angle has gone from 22 to 12 degrees and the rotation from 7 to 5 o 6. Clearly, bracing can be put off at least for now. We are going to keep up with the exercising and postural improvements we’ve been using and will follow up with the doc in 6 months We will follow up with you if the need arises. By the way, I wanted to commend you for your insistence on avoiding negative comparisons to other bracing systems. I respect the humility that you demonstrate. I have found it somewhat uncharacteristic of those with whom I’ve spoken regarding their preferred method of treatment. I am an Internal Medicine physician working in the Primary Care/Internal Medicine Department at Kaiser Permanente. My daughter was diagnosed with scoliosis at age 11. She had mild scoliosis with a thoracic curve of 16 and lumbar curve of 10 degrees. Her orthopedic surgeon recommended a TLSO Boston brace, the standard, well-accepted conservative approach in the US. It was very difficult for her to adjust to the brace. With family support, she was able to wear the brace for about 18 hours daily. She was also taking ballet classes. It helped to improve her core, back muscles, and posture. Her scoliosis was stable for 1.5 years, but with active growth (my daughter is 5’8” now), it progressed to 40 degrees. I researched alternative scoliosis treatment and learned about the Katherina Schroth approach. We spent three weeks of summer in Germany learning Schroth exercises. We also changed the brace. The TLSO Cheneau brace made in Germany was still a rigid brace, but more comfortable to wear. Unfortunately in six months, we realized we needed a new brace. With rapid growth, the brace was no longer achieving necessary correction. I was fortunate to find Mr. Grant Wood in the San Francisco Bay Area. After the first visit and evaluation, my daughter and I felt very comfortable and confident that the new brace would be a good replacement. Within two weeks, we received a new brace. This brace addresses the rotational deformity of scoliosis and allows the lungs to expand while providing excellent curvature correction. My daughter now has less than 20 degrees thoracic curve and 10 degrees lumbar curve. Our orthopedic surgeon mentioned that this brace corrected the curvature better than the Boston brace! My daughter continues her ballet and swimming practice. She has been wearing the brace for 1.5 years. Her scoliosis is stable, and we achieved our main goal of avoiding surgery. I would like to express my appreciation to Grant Wood and his medical staff. With my busy practice he was very accommodating; we needed brace adjustments a few times and we were able to see Grant Wood within a few days. We receive reminders about follow up appointments regularly via emails and phone calls. I strongly recommend Grant Wood as a professional, knowledgeable and compassionate scoliosis treatment specialist. He is the only specialist on the West Coast providing an alternative scoliosis bracing treatment approach that is well accepted in Europe. Alla Rudin, M.D, Internal medicine, Kaiser Permanente. South San Francisco, CA.